Technology is redefining the terms of civic engagement. Learn how to leverage tech to better connect to citizens. There was a time when a citizen engagement experience meant encouraging citizens to walk into City Hall to ask questions and file paperwork. Then, with the advancement and popularity of the Internet, citizens wanted on-demand access to information and resources. Soon, citizens expected local government websites to offer robust self-service features that enabled them to simplify their government interactions by conducting transactions without ever leaving their homes. Next, due to the proliferation of mobile devices, civic engagement meant connecting to citizens on a personal, immediate, and public platform, while social media became a standard communication strategy, and websites were redesigned to be mobile optimized. Today, technology is again redefining the terms of civic engagement. As citizens become more reliant upon constant connectivity, they are seeking more meaningful connections with brands, entities, and even their local government leaders. If your community does not know where to begin in meeting the latest digital engagement demands of citizens, here are five things you need to know about the next evolution of digital citizen engagement. 1. The availability of digital government services impacts citizens’ satisfaction. According to a 2016 survey by Accenture, 73 percent of respondents indicated that the improvement of digital government services would positively impact their overall satisfaction with government. 2. The technology exists to enable personalized, integrated, meaningful digital engagement interactions. Thanks to the Internet of Things (IoT) citizens can learn the weather report by giving their personal home assistant a voice command or re-order groceries from their smart refrigerator, and even send their daily health statistics to their doctor from a wearable health monitor. Imagine the capabilities for local government to share information and stimulate two-way dialogue with citizens as they engage in civic participation opportunities using the latest innovations in digital technology. 3. Content as a Service (CaaS) is not just a trendy buzzword. CaaS is more than the next trend in information technology. It is the future of how entities that require a multi-channel communication strategy will reach their audience. CaaS aims to push structured content into feeds that other applications and properties can consume. Imagine creating one boil water advisory and sending it out to your local government website, in-office kiosks, email notification system, text message alert platform, social media accounts, and community’s mobile app—in one step. CaaS not only brings efficiency to administrators, but it also brings consistency, convenience, and value to citizens. 4. Digital citizen engagement methods will save your taxpayers money. Digital interactions typically cost 80 percent less than non-digital interactions (source). Not only do digital engagements reduce costs, when citizens can self-service their own needs, such as by downloading forms, remitting payments, reserving facilities, and applying for jobs all from an Internet-enabled device, your administrators receive fewer phone calls and walk-ins, helping them to be more efficient and strategic in their daily operations. 5. Mobile content is still critical. Personal home assistants and smartwatches may be on everyone’s birthday wish-list, but don’t expect these tech innovations to make mobile devices obsolete any time soon. 44 percent of those surveyed by Accenture said they placed priority on smartphone access to government digital services. Even as the rules of digital citizen engagement evolve, your community will still need to prioritize a mobile-first communication and website design strategy. 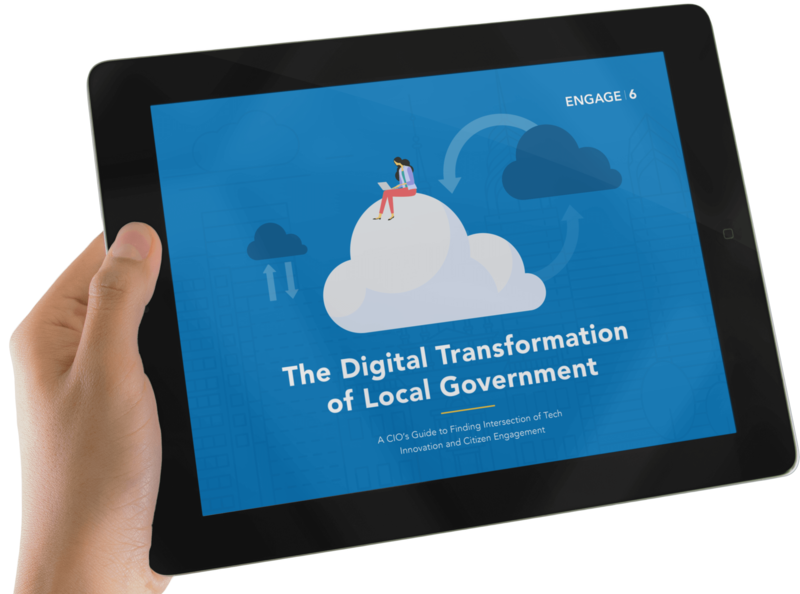 It is time for local governments of all sizes to start evolving their communication methods to adapt to the new expectations for citizen engagement experiences. Adjusting to the evolving needs of citizens is about more than keeping up with technology trends or proving to citizens that your municipality is innovative and digitally-minded. It is about building a better information delivery model. It is about personalizing local information and content to encourage citizens to stand up and take action when a topic impacts their lives. It is about playing an integrated, relevant role in citizens’ lives at a time when we are more connected in more ways than ever before. CivicPlus is the integrated technology platform for local government, working with over 3,500 local governments including municipalities, counties, and municipal departments. CivicPlus has been selected by Inc. Magazine as “One of the Fastest-Growing Privately Held Companies in the U.S.” since 2011. For more information about CivicPlus’ innovative product suite, including CivicEngage, CivicReady, CivicClerk, CivicRec, CivicHR, CivicCMS, and CP Connect, visit CivicPlus.com.